An overview of the philosophy that can help anyone take charge of their health and fitness. 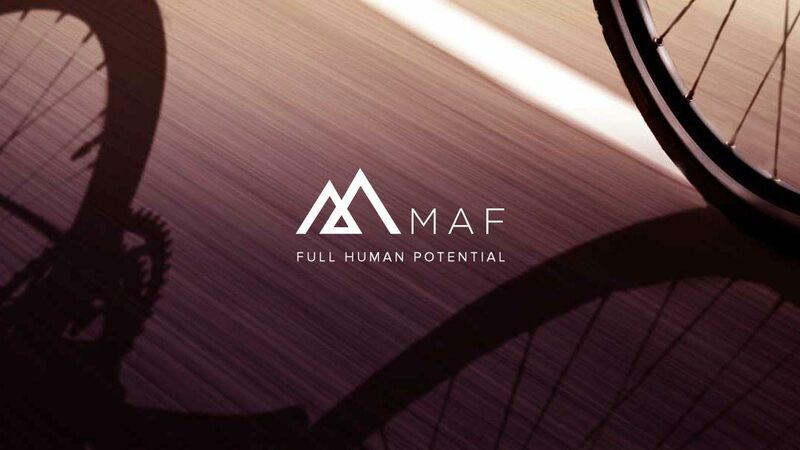 The MAF Method is a philosophy I developed over the course of 40 years of scientific research and clinical practice to help individuals of all ages, athletic abilities, physical issues, and personal goals reach their human performance potential. Primum Non Nocere is Latin for “First do no harm.” All health practitioners learn this edict early in their training, as it is a driving principle of healthcare worldwide. I have embraced this imperative ethical principle throughout my career and encouraged people to adopt it as well. Both health and fitness are requirements for optimal human performance, but we should not sacrifice one for the other. Unfortunately, health continues to be sacrificed. Rates of poor health and impaired fitness continue to rise worldwide. Junk food continues to feed the overfat epidemic, workout plans increase injury, and remedies for various ailments only address symptoms while ignoring the cause of the problem. The flawed philosophy of “no pain, no gain” encourages people to push themselves beyond the limits of health. This contributes to the widespread “fit but unhealthy” paradox seen in those who are powerful enough to perform great athletic feats, but are nevertheless plagued with injury, illness and disease. In some cases this imbalance can lead to death. While “prevention” is a popular term in healthcare, most injuries, illnesses, chronic diseases, and the causes of many deaths, are preventable. However, too many people don’t implement necessary lifestyle changes in the personalized way required to prevent these common problems. Popular health and fitness programs oversimplify the journey to wellness and can’t individualize their approach. This occurs because our society teaches us to treat superficial symptoms instead of searching out the underlying cause of the problem. MAF provides the guidance to help people engage effectively with this complex individual journey. The MAF Method offers a variety of tools to assess your individual health situation, track progress, and create helpful feedback. It helps you personalize your approach to improve nutrition, balance exercise, and manage physical, biochemical, and mental-emotional stress. Above all, it teaches you to weave these components together to achieve better results. MAF is an open system that can be used by itself, integrated into any approach you may be currently using, or help you start all over again. Central to this philosophy is the realization that no single “best” diet plan or “ideal” exercise program works for everyone. And yet, a key to achieving optimal human performance is unlocking something that resides in each of us — the potential to burn high levels of fat for fuel. This in turn leads to better health, better physical and mental energy, and greater performance. Only by honest assessment and by taking control of your own destiny can you become truly healthy, fit, and enjoy a high quality of life. MAF stands for “Maximum Aerobic Function,” referring to the aerobic system, the fat-burning engine responsible for fueling all of the body’s needs. Most of the body’s energy for daily living comes from the conversion of both sugar and fat to energy. Relying on larger proportions of fat correlates to higher physical and mental vigor, improved health, and better all-around performance. But relying more on sugar is associated with indicators of reduced health: low energy, increased body fat and weight, less endurance for daily living, and lower physical fitness. One of the most common causes of reduced fat-burning and diminished health is the consumption of sugar and other refined carbohydrates. These junk foods have become a staple in the diets of billions of people — but addiction makes us keep eating them. Junk food directly interferes with one’s ability to be healthy and fit — more so than any other food. In fact, a single meal or snack of sugar or refined carbohydrate can not only turn off fat-burning and significantly disturb hormones, but also switch on the genes that cause disease. The MAF Method employs various strategies to successfully eliminate these foods from the diet. The next most important step in stimulating the body’s natural fat-burning capabilities is by specifically training the aerobic system through easy exercise. Without doing so, one may become aerobically deficient — a common syndrome associated with fatigue, increased weight and body fat, reduced immune function, and hormonal imbalance. Physical injury is also widespread — slow-twitch, fat-burning aerobic muscle fibers support joints, bones, and soft tissues, and assist the fast-twitch, sugar-burning anaerobic fibers in their functions. By engaging the full spectrum of aerobic muscle fibers, improvements in the heart and lungs, increased circulation, and better brain function also occur. MAF provides simple exercise guidelines based on individualized heart rates that work for everyone from sedentary individuals to professional athletes. Tracking the progress of the aerobic system helps predict when strength and speed workouts can produce healthy gains. Another important aspect of the MAF Method is addressing chronic inflammation, a very common condition that leads to reduced fitness and even serious illness. Most diseases begin in a seemingly benign way, without symptoms or signs. The chemical imbalances that trigger this problem are easy to control with diet and lifestyle. The key to avoiding chronic inflammation is in balancing one’s dietary fat intake by eating only natural fats and consuming certain foods, based on the individual’s needs. In doing so, many problems like muscle imbalance, weak bones, injuries, and even illness and chronic diseases, can be prevented. Learning how to avoid the ravages of physical, biochemical and mental-emotional stress is an important part of MAF. Finding the ideal personalized diet, maintaining optimal nutrition, a prevalence of aerobic workouts with appropriate hard training, and other lifestyle factors that would normally lead to optimal health and fitness won’t work if excess stress interferes. Since the human body and brain has a unique system designed to manage stress, learning how to enlist this natural mechanism is essential. How can this method offer a personalized, truly individual approach for all people? By doing what I’ve done throughout my career: Begin with an effective assessment. Through self-evaluation, with the help of questionnaires and self-testing, and learning about the inner workings of the body, individuals are guided through the simple process of determining their particular needs in all key areas of health and fitness, from diet and nutrition to exercise and the regulation of stress. The end result is improved human performance. This translates into better brain function, increased endurance, avoidance of illness and disease, unlimited energy — and for athletes, continuous strength, speed, and competitive improvements without injury. In summary, the MAF Method is not a cookbook plan, but rather an individualized approach for health-conscious, active people to incorporate into their lifestyle in order to develop their natural talents for years to come. I recently developed the MAF 8-Step Program, a simple yet individualized progression that forms the backbone to the MAF Method. The program takes you through the process of using specific and detailed assessment tools and guidelines to evaluate and manage your nutrition, exercise, and stress levels to achieve optimal health and fitness. I ran a 6.50 Min mile at the end of 10km trail race last weekend (1000ft of ascent and descent). Before starting MAF 3 years I wouldn’t have been able to one mile at this pace. Can you use learning to dance for aerobic base building or is it too intense and/or variable for steady state training? Even the shortest run sends my HR up to 170. Running very slowly gets it down to 155. My target HR is 133 – how do I get strated? The best thing to do in your situation is to walk. I’d love to start the program but the phone app crashes. No one has come back with advice despite posting several logs and emailing. Sorry about that. Just saw your email. The responses to the automated app emails get back to a noreply mailbox so we typically don’t look at them. We’re currently working on making the Android app (still in beta) more stable. Which phone make and model are you using? I have been out of running for a long time but got back into it in the last year or so. As a college half miler I was very predisposed to injury which is the main reason for my hiatus and also how I came to try the method. It has been great for me and enabled me to find my love for running again. I’m having trouble reconciling something though. I’m 39 and have been targeting 140 bpm for training. I recently did a trail half marathon (first trail leave and first time to race a half). I just guessed at a HR for the race to keep from bonking. Set alarm to 155 but did the first half closer to 160. I felt pretty good and ended up averaging 171 with a pretty good negative split. I believe I have read that a half marathon is something like 97% aerobic. How is my aerobic threshold 141 when I can run a race that long averaging 171?